We’re Back! Shabbat, Mark’s Birthday, and Color War Recaps! After a brief glitch with our blog posting technology, we’re back! 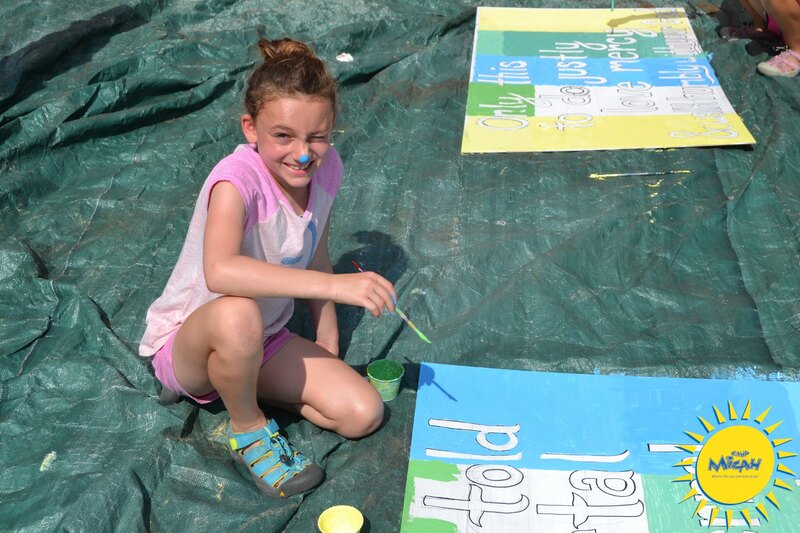 It’s been a busy few days here at Camp Micah from Shabbat through Color War. Check out all the news below! What gorgeous weather we had today at Camp Micah! A group of Critters and Prowlers hiked up Mt. Sugarloaf today and ended their adventure with a swim in the Saco River. Campers enjoyed plenty of sunshine and some cool breezes while participating in all of their daily activities in anticipation of Shabbat. 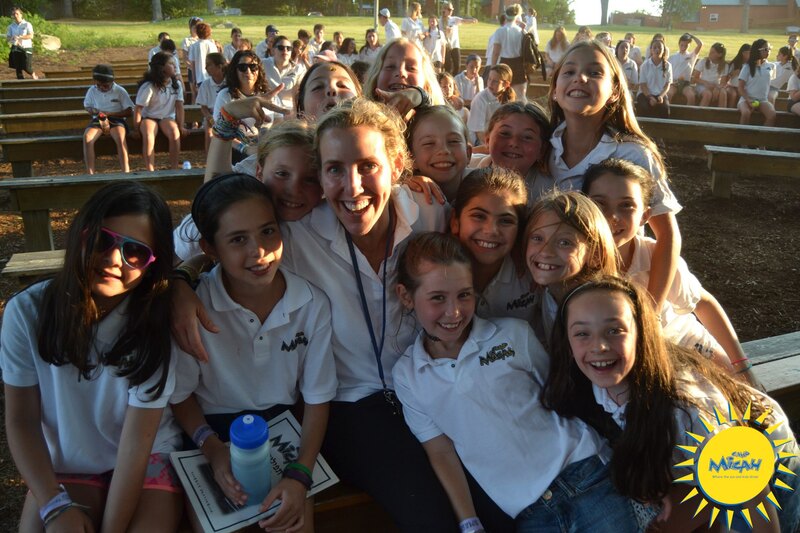 Fridays are always a nice way to gather together and take a step back from our fun, jam-packed days to reflect on the past week and welcome Shabbat into our hearts. It’s so touching to watch the entire Micah community come to dinner in their white Shabbat shirts to enjoy a delicious meal together. Paula, our baker, often gets a rousing round of applause at the end of the meal to thank her for her delicious Challah and desserts. The song session that follows our meal really takes Shabbat to another level here at camp. The energy in the room is palpable with campers singing, dancing, hugging and smiling from ear to ear before walking down to the chapel for our service. During this evening’s service, Rabbi Lipof told us a story which reminded us that if you can’t have the best, make the best of what you have. Your second choice just may end up being the right choice for you in the end. We can’t believe that one week from tonight we’ll be welcoming our final Shabbat of the session and taking part in our first session banquet. 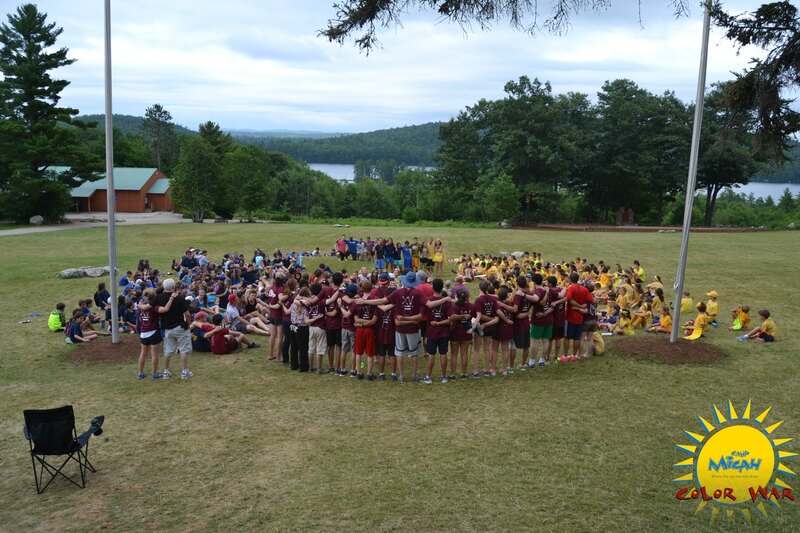 It’s amazing how quickly time goes by here at camp and we’re all trying to make the most of every moment. In honor of Mark’s upcoming birthday, we spent many of our Shabbat rotations today completing innumerable mitzvot to make the world a better place. 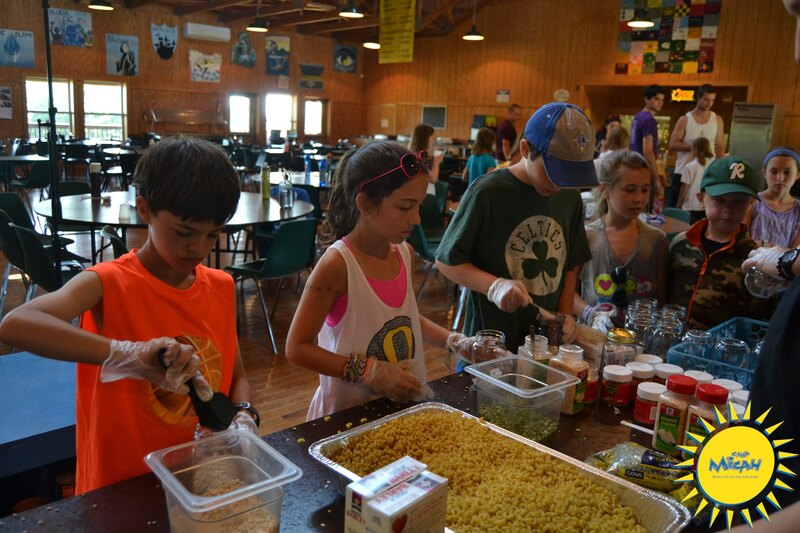 Campers created blankets for Project Linus, baked dog biscuits for a local animal shelter, made cards of thanks and baked cookies for the Bridgton Fire & Police Departments, assembled soup kits, baked blueberry cake, wrote letters to soldiers, made play-dough for a preschool, and so much more. It feels so good to help others and do our part to make the world a better place. There is nothing Mark wants more for his birthday than for his campers to follow our camp’s mission and philosophy. Throughout the day, campers also got to visit our MArt station (that’s Mark’s Art!). We all put our own special touch on a communal piece of art to be presented to Mark the following evening. It was hard for over 300 people to keep a secret from Mark…we’ll see how surprised he is when it’s presented at his birthday celebration tomorrow! 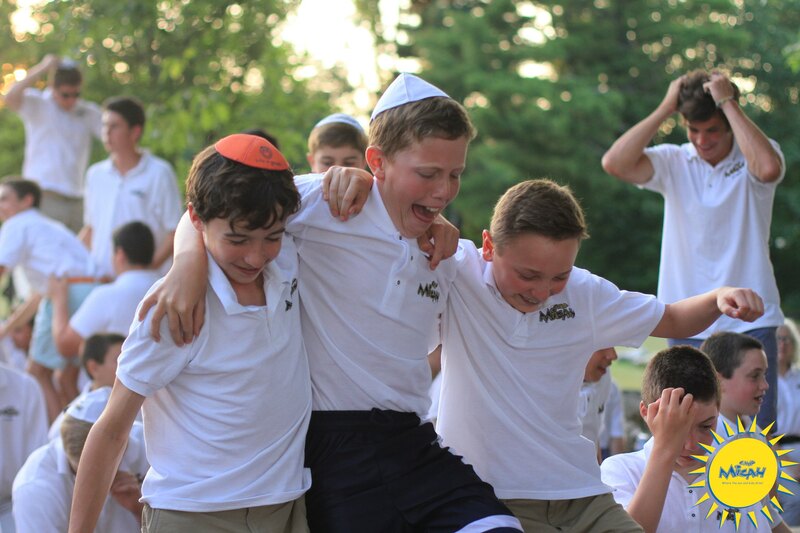 As always, we finished our Saturday with our cookout and campfire, complete with a hilarious weekly Micah Update from Daniel Anderson and Alex Brodsky. 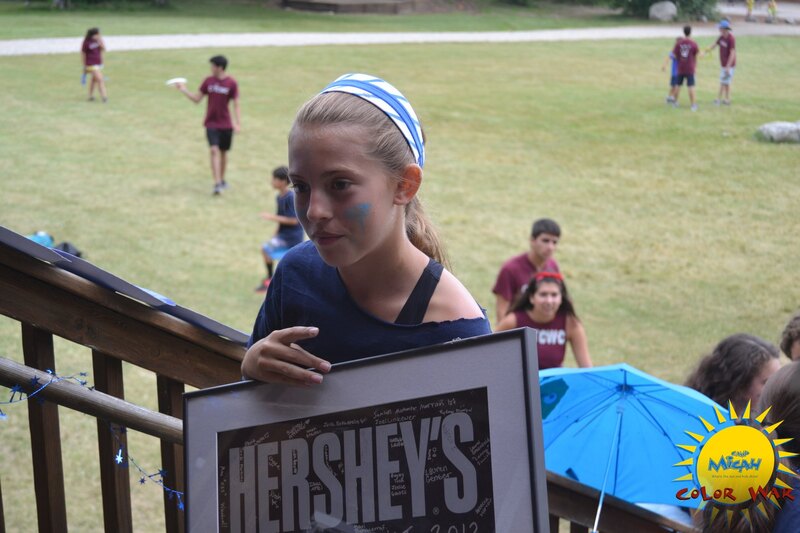 Before we ended the night with havdallah, the CITs teased the whole camp with what we all thought was certainly going to be the break to Color War. Oh well, we’ll just have to wait until the real break happens (whenever that may be!). What an exciting day here at camp! We spent the entire day celebrating Mark’s birthday. The morning began with thunderous applause and cheering in the Dining Hall as carts of Dunkin Donuts (Mark’s favorite) were wheeled out from the kitchen as a special breakfast treat. After breakfast, many campers participated in the volleyball, baseball, and soccer inter-camps offered all around camp. It was quite common to see many campers decked out in batman gear in honor of the birthday boy while walking around to activities! In the afternoon, many campers signed up to participate in magic workshops, hosted by our special guest, Peter Boie – a magician for non-believers! 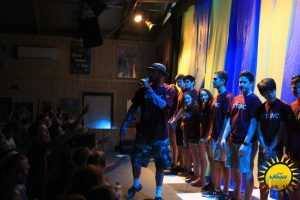 To continue the celebration, we enjoyed an all-camp evening activity where we had the pleasure of watching Peter dazzle and amaze us all. Before Peter took the stage, Mark was presented with the art project we all worked so hard on the day before! Peter’s act was filled with mind boggling illusions and fascinating sleight of hand tricks that had us stumped all night long. As if the anticipation of Color War wasn’t enough to drive us all crazy, Steve Monge was called up by the magician to participate in a trick. We were certain that this MUST be the Color War break we were all waiting for. But alas, Steve and the CITs fooled us all yet again. 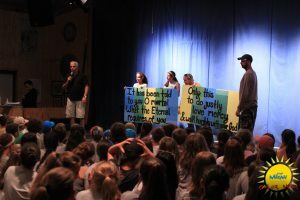 As the magic show finished up and all the campers and staff were getting ready to leave Uncle Milt’s Performing Arts Center, the whole room went black and the stage curtain was replaced with blue and gold! Blue and gold lights started flickering and music started playing over the sound of screaming children (don’t worry; it was happy screams of Color War!). 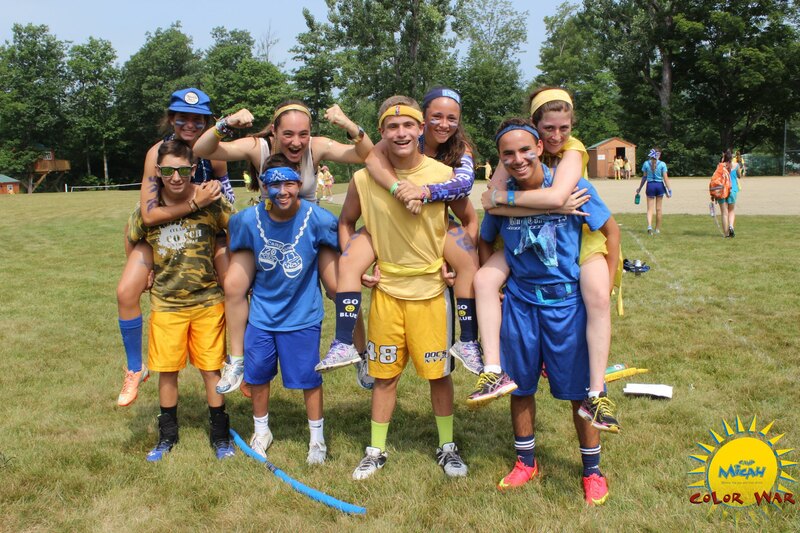 Just when we thought nothing could top this fun filled day celebrating Mark’s birthday, COLOR WAR FINALLY BROKE! Stay Tuned for all of the exciting details. After an exciting evening with Color War breaking and captain voting, both teams met on the softball field to compete in the annual tug-o-war. The teams were neck and neck throughout the morning as the winners of each pull traded back and forth. After that all-camp event, units split up to compete in kickball, tennis, soccer, basketball, softball, and so much more. The afternoon brought a swim meet and track meet which once again had the teams neck and neck. The spirit and sportsmanship of both teams was a joy to watch. After dinner, the Color War Committee debuted a new game to the camp, “Keys, Please!” Team captains were given clues to the locations of painted keys hidden around camp. Campers scurried all around camp searching for keys to be turned into the “locksmiths” who would tally the value of the keys. Special “challenge keys” were also hidden around camp that could be redeemed for the chance to successfully complete a challenge, such as walking across the slackline or putting together a tricky cube puzzle. All the campers said that they loved the addition of this new game and are excited to have it added to the annual competitions for years to come! Tomorrow is certain to be another tight day of competition as Color War will come to an end before dinner. Good luck to both teams! After a little extra sleep this morning, both teams awoke ready for another busy day of competition. The morning was filled with two rounds of Unit Activities (when age groups compete against each other in athletic events around camp) and the afternoon was spent participating in the Critter Spelling Bee, Prowler Riddler, Timber Ultimate Charades, and Summit Co-Ed All Star Basketball Game. It was once again too close to call – especially the Critter Spelling Bee which went into an unprecedented third round of sudden death word challenges! After the afternoon unit events, both teams came together for the annual all-camp Scavenger Hunt. 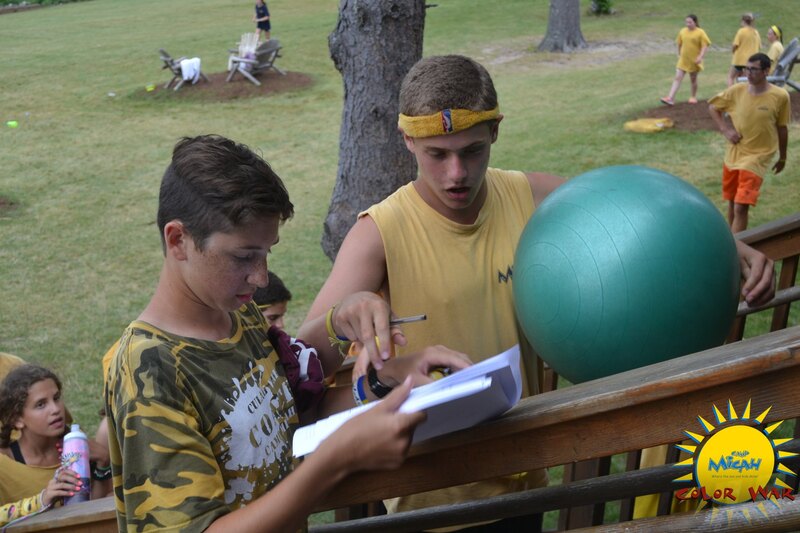 Team captains were given a list of 200 items to find around camp. Some everyday items, like a Micah winter hat, were easy to find. Others, like an un-tie-dyed 2015 staff t-shirt, were nearly impossible! Both teams put their all into this final activity of first session Color War. As the competition came to an end, both teams did a big clean-up of camp as the Color War Committee tabulated the score. http://www.campmicah.com/were-back/ http://www.campmicah.com/were-back/All campers and staff gathered at the flagpoles to sing the Micah Alma Mater and hear the first session score. Blue is currently ahead by 175 points as Color War is put on hold until it breaks again during second session and the competition heats up again!